A whole new world of decorative design solutions. Imagine a ceramic tile with all the cladding properties of the highest quality porcelain stoneware in a tile just 3mm thick. The result is a state of the art material that can truly claim to be versatile and easy to use. Manufactured by high performance, avant- garde technology, KERLITE is dust pressed on a conveyor belt, without dies, at a pressure of 15 thousand tonnes. Firing takes place in environment- friendly, emission free electric kilns. Cutting is completely automated. With Kerlite it's easy to lay new flooring and walling in your home. But more than that it's economical and simple. KERLITE PLUS can be installed directly over existing flooring in ceramic or any other compact type of surface or over a new slab. This is because the underside of the ceramic slab has been reinforced with a dense fibreglass mat. This minimum thickness mesh ensures the tile sticks solidly to the adhesive spread on the substrate. With just 3.5mm additional floor height there's no need to adjust the level of doors and jambs. And floor loads are virtually unaltered. Kerlite makes another step forward and becomes KERLITE TWIN, the solution you were looking for to create floors and walls with large sizes, a thickness of only 7mm and an exceptional performance in terms of duration and resistance. The poteneial of Kerlite is doubled to offer a variety of different possibilities of use, under the sign of lightness and beauty. 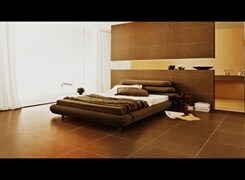 KERLITE is manufactured in 300x100 cm slabs. The exceptional production line designed for KERLITE allows for the production of ceramic slabs that are very thin but extremely resistant and flexible. 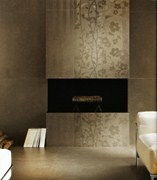 None of the thin tiles pressed using conventional dies may attain the extraordinary performance of KERLITE.